uPlay Android Smart Watch Z3 is a white label Android smart watch with 1.5″ capacitive touch screen 240×240 pixels, powered by dual-core CPU JZ4775, and runs Google Android 4 .0 ICS – It is basically a color version of the popular Pebble smart watch. It has gravity sensor and gyro enabling endless sport and medical apps. It supports both WiFi (b/g/n) and Bluetooth 4.0, which allows you to control your smartphone and camera remotely. It also sync with your iPhone or Android phones for address book, time, SMS, calls, weather and schedule. The target release date is end of October. Retail Price: $149.99. Sale price: $119.99. Pre-order price $99.99. You can pre-order it in our online store. The shipping cost is $14.95 no matter where you are. uPlay Android Smart Watch Z3 is one of the first Android smart watches. Google used to make a catchup game with Apple on its early releases, but Android 4 .0 is pretty much par with Apple iOS. The all new designed Google Android 4.0 has kept many good features from its previous release, and made the GUI with a better layout, more intuitive, more smooth transition, and virtualized all keys. You can even merge the file folder like in iOS, switch between multi-tasks, plus all new widget tools. Google Market is pre-installed on Q7s. You can access and download more than 400,000 apps directly from your tablet . uPlay Android Smart Watch Z3 enables endless applications through Google Play . Cyclists can use uPlay Z3 as a bike computer, accessing the GPS on your smartphone to display speed, distance and pace data. Runners get a similar set of data displayed on their wrist. Use the music control app to play, pause or skip tracks on your phone with the touch of a button. If you’re a golfer, feel free to bring uPlay smart watch Z3 onto the course. You can download golf rangefinder apps that works on over 25,000 courses world-wide. Instead of using your phone, view your current distance to the green right on your wrist. If you need to stay on top of things, uPlay Smart Watch Z3 can help with vibrating notifications, messages and alerts. It’s very easy to customize notifications. JZ4770 is a high performance, high integration and ultra low power application processor with powerful video engine and 2D graphic engine targeting for mobile devices like smart-phone, tablet , eBook and GPS navigator. JZ4770 is powered by Ingenic innovative 1GHz XBurst CPU core and equipped with a rich set of peripherals. With Android, Linux, WinCE, RTOS OS supporting and WiFi/3G/ Bluetooth /TV module connecting, this SOC can provide excellent mobile internet experience. 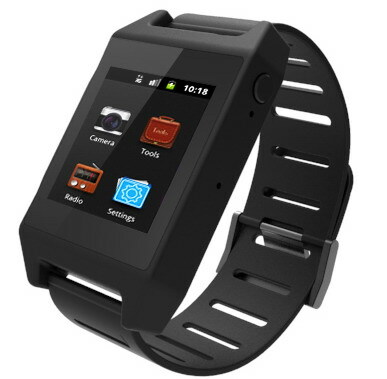 The screen used in uPlay Android Smart Watch Z3 is a 1.5” 240×240 capacitive screen (Pebble’s screen is a 144×168 black white screen). It’s very sensitive to touch. uPlay Customized Android Smart Watch (white label) Z3 has 4GB RAM and 4GB flash storage built-in. This allows for numerous tasks and apps to be run at the same time with no loss in speed or responsiveness in the tablet . Supports 1080P HD , and all other HD formats. 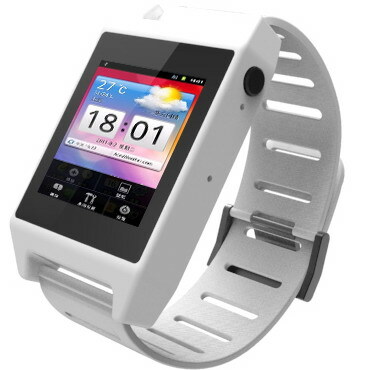 uPlay Customized Android Smart Watch (white label) Z3 has a 180 mAh battery, it runs multiple days without charging. uPlay Customized Android Smart Watch (white label) Z3 supports WiFi standard 802.1 b/g/n, and also has built-in bluetooth (version 4.0). uPlay Customized Android Smart Watch (white label) Z3 has both 4-axis gravity sensor and gyro, which enables endless sports and medical applications.